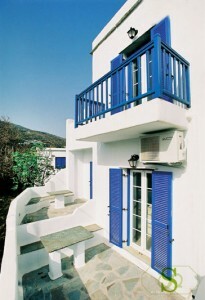 Tinos is the third largest island of Cyclades. 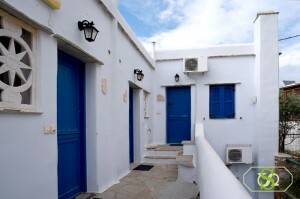 Any visitor whether they are looking for calmness and rest or for action and entertainment Tinos has so much to offer. There are plenty of organized beaches or not with pebbles or sand. There are also variations of greenery or dry land, areas of geological interest such as Volax, Livada etc., beautiful pigeon houses, numerous churches and chapels. Moreover, you will discover villages with pure white houses and warm, hospitable people. It is the island where some of the most important painters and sculptors were born such as Gyzis, Halepas, Filipotis etc. 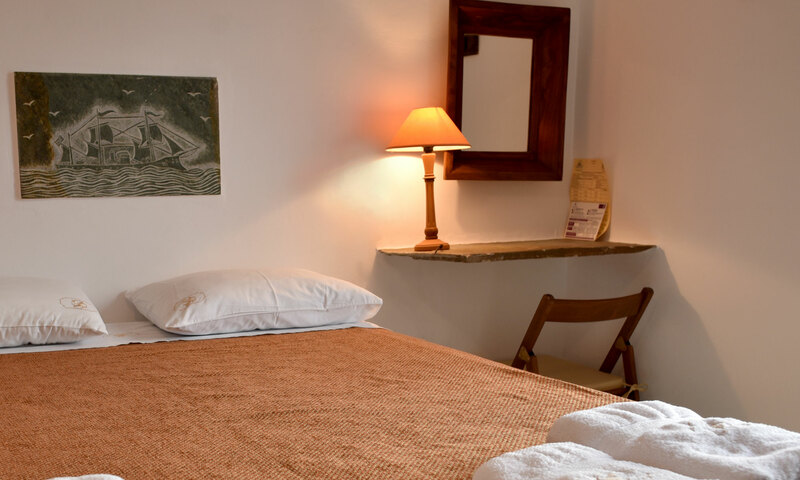 This is an island that continues to enchant its visitor, to make friends with him and at times a permanent resident such as modern artists, journalists or common people that have built their country house here. Kionia is situated 2,5 kms away from the main town of Tinos. There is a beautiful beach with taverns, restaurants and coffee shops. You can also visit the archeological site of Poseidon and Amphitrite. For those who love trekking there is a trail that leads to Ktikados and Chatzirados villages. Nearby beaches are Stavros, Agios Marcos and Platia Ammos.